To begin the series, BL have released two short story collections, each focusing on one of our neighbouring planets; the two that most exercise our imagination, the Moon and Mars. Renowned sci-fi expert Mike Ashley is in charge of the volumes (presumably curating the series in much the same way as Martin Edwards does so expertly with the crime books); and the contents make marvellous and varied reading. Sci fi gets bad press and can be a divisive genre amongst readers. However, the best of sci-fi can be mind expanding fiction and I would encourage those nervous about it to give these two volumes a try – they’re wonderfully engrossing, entertaining and thought-provoking, and just damn good stories. You can read my review over at Shiny here! 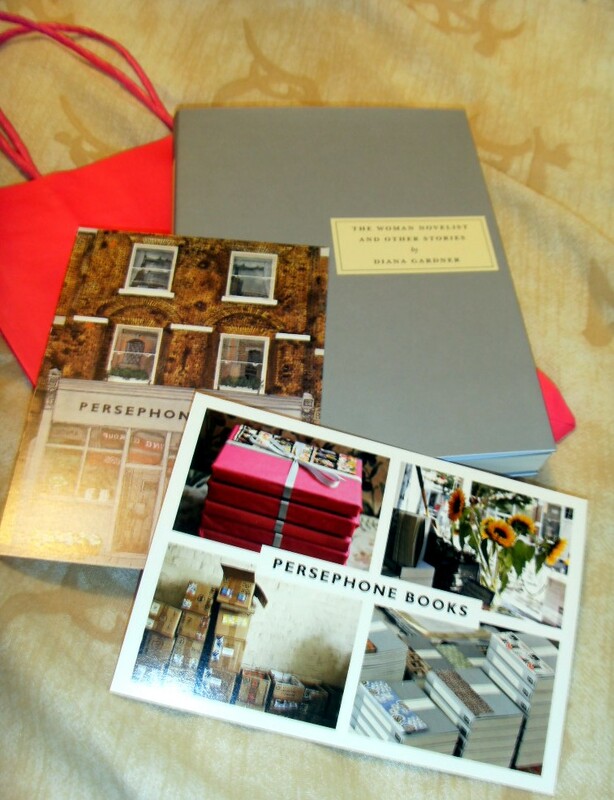 A Visit to London – and Persephone Books! 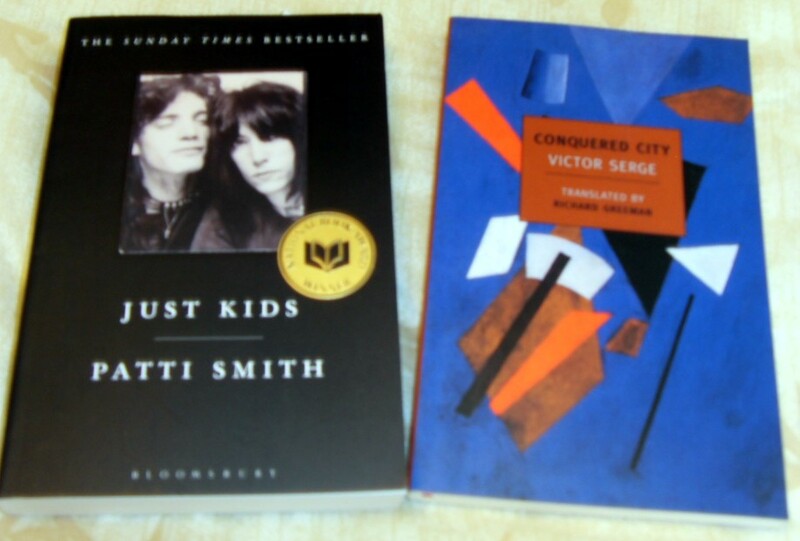 Back in the 1980s, I used to spend regular weekends meeting a friend or two in London for a day trawling around the bookshops int he Charing Cross Road area. In those days (ahem) we didn’t have things like the Internet (!) so the tracking down of rare or unusual volumes for a collection was much more involved. Of course, we did have the advantage of a lot more second-hand bookshops generally – I used to work in Salisbury and there were lots (which I’ve blogged about before). Nowadays, it’s all Internet shopping, which is great for a quick fix but does take a little of the thrill of the chase out of it. The friend I used to book shop with most was Jools, and although we keep in regular touch still I haven’t actually met up with her for about 13 years (when the sprogs were small). But things came together quite serendipitously recently – OH told me about the Jack Kerouac “On The Road manuscript scroll being exhibited at the British Library, which I felt I must see; I was overdue for a visit to my brother and family in south London; and YC needed a trip away in half term. So I contacted J. to see if she was available at all and fortunately enough, this weekend was the one time she was free in about a month! Obviously the stars were right and so we arranged to meet at Waterloo station under the clock at 10.30 a.m. I did wonder a little whether we would recognise each other after all these years and how we would find spending a day together. I needn’t have worried – we knew each other straight away and it was like we had only had a day in London together a week ago! YC very patiently accompanied us round central London (she’s the perfect shopping companion!) and the weather blessed us – cold but bright and sunny. 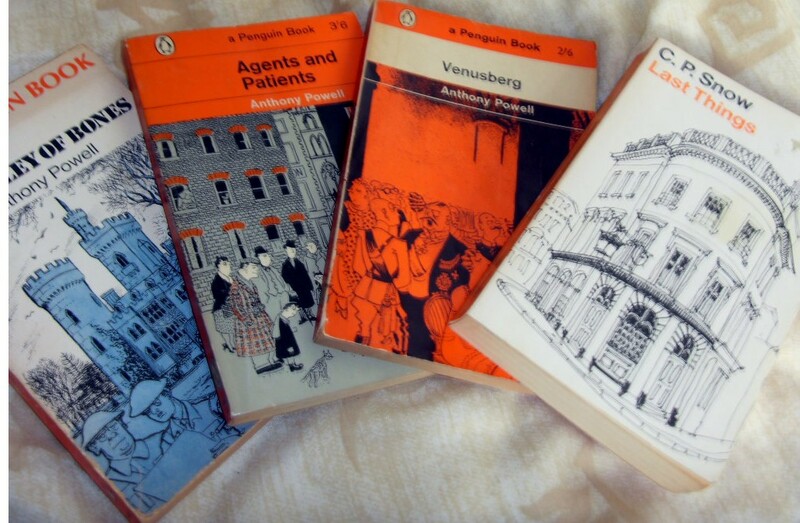 I’m particularly fond of this design of Penguin Simenon which was about when I was buying them in the 1970s and 1980s. 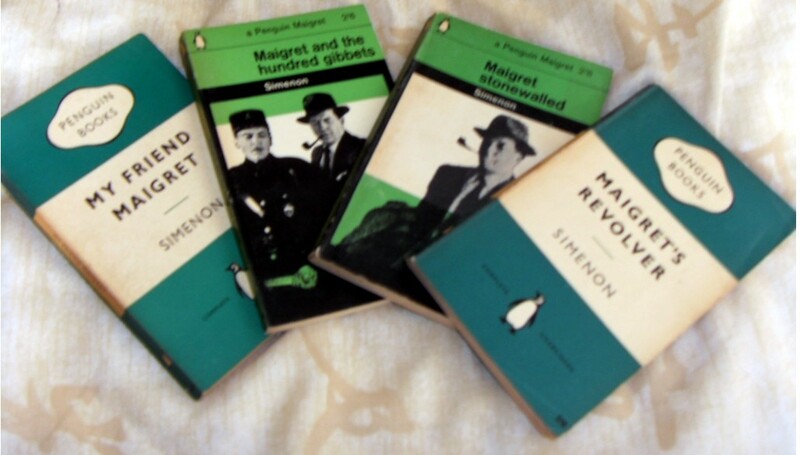 There were Penguin Colettes with a similar sort of French font design and these are equally lovely – I have many in my library already! I was pleased to find the Beryl Markham as I am trying to fill in my Virago Travellers and this was in lovely condition. Next stop was Foyles. This was a place we avoided in the past because in the 1970s and 1980s it was a hard place to find a book you were searching for! All the volumes were displayed by publisher and it seemed to be inordinately complicated trying to track down which floor your book was on and if it was in stock. Nowadays it’s been modernised and laid out nicely and is actually a lovely place to browse. I very rarely buy a new book nowadays (these go on Christmas and birthday lists) but there were some lovely classics in hardback and a lot of NYRB volumes as well. It was nice to be able to actually pick these up and have a flick through them to see if the book was one you would read – I miss being able to do that online, and not everything you’re interested in is browsable on Amazon. Amazingly, J and I did not buy – although YC did a bit of Christmas shopping and indulged her passion for Batman graphic novels! As the day was getting on and we were starting to think of lunch, we followed J to a rather lovely little cafe she had been recommended near the British Museum. I always love being in this part of London anyway, as I feel spiritually close to Virginia Woolf here and like to imagine her stalking the streets, thinking up her latest wonderful sentences. Anyway, the cafe was a little Vietnamese place tucked away down a side street (and I’ve forgotten the name for the moment!) but it’s highly recommended. We enjoyed Sweet Potato Noodles, sushi rolls, fritters and miso soup – all veggie and all reasonably priced. Yum! Somewhat refreshed, we headed off in search of the nearby Oxfam bookshop. The first thing we spotted was a Persephone – “The Closed Door and other stories” by Dorothy Whipple! This was complete with bookmark and J. started reading the first page and got hooked so we decided she should have this one. 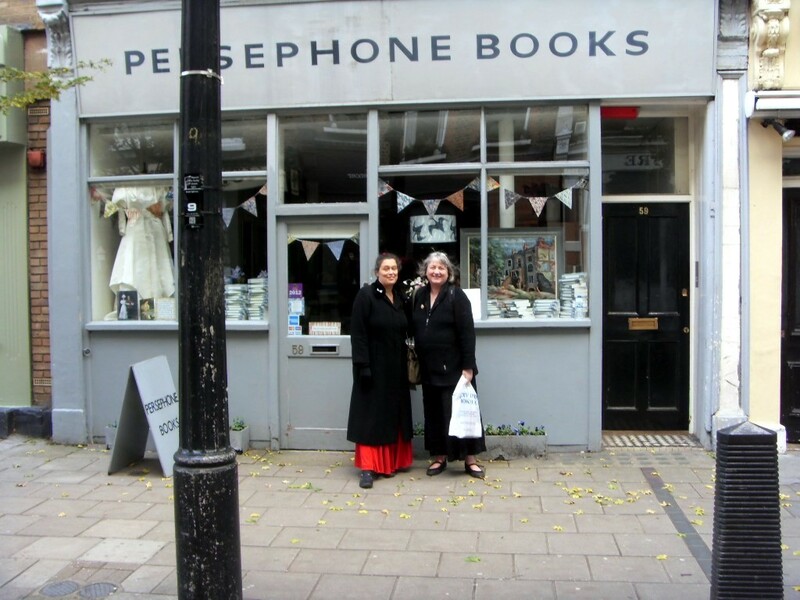 J. is a recent convert to Persephone – I wrote to her and rambled on so much about how wonderful “Miss Pettigrew” was she got it out of the library and loved it. 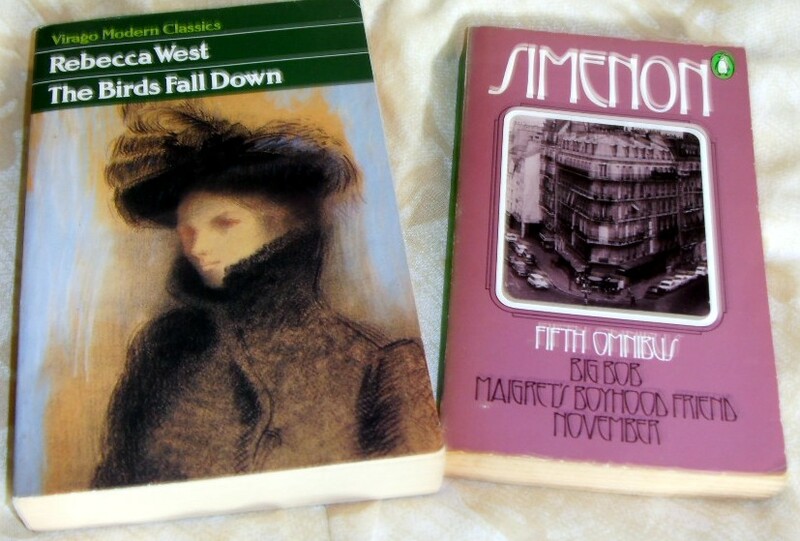 YC found some sociology based Viragos for her studies so the Oxfam was judged a success. Frankly, at our age, we’re quite happy with blurry pix! I could of course have gone much madder here but budget and weight of the backpack got in the way. After all this mad spending, we decided it was time for a free treat and headed off the British Library to see the scroll. I confess I was inordinately excited about this. “On the Road” is a book I first encountered in my teens, and it sent me off on a huge voyage of discovery with all the beat writers. I’ve read and revisited the beats many times over the years and it felt actually quite important to me that I should see this manuscript while it was in the UK. Also, I must confess I’ve never actually been into the best library in the world (!) so that was another consideration. The BL is very impressive, I have to say – when you walk into the lobby and see floors of rare books ascending up into the ceiling, behind glass, it kind of takes your breath away. 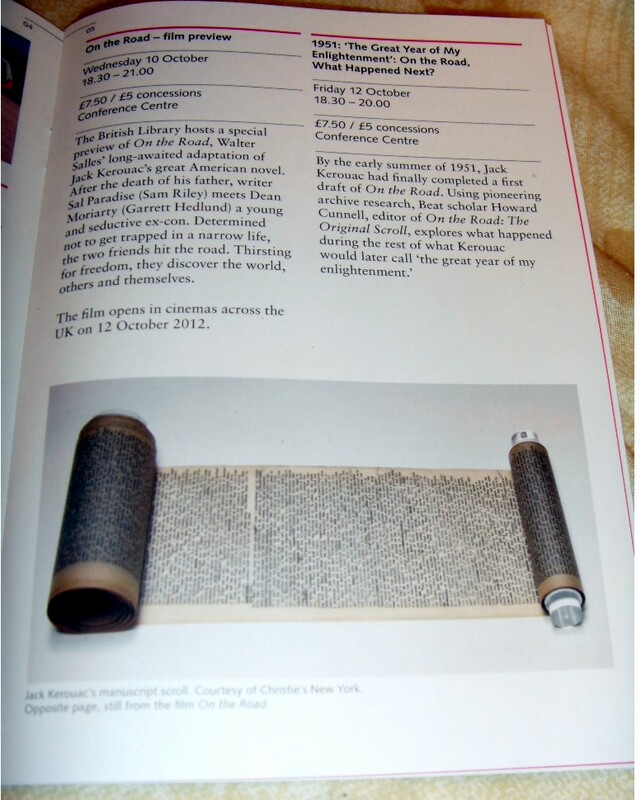 The scroll was impressive too – it’s just a simple little exhibition with some pictures, quotes, timelines and the like, and part of the scroll extended and laid out under glass for you to look at. Gave me a little thrill seeing the original typewriting and his hand-written amendments, I must say. After reading and inwardly absorbing for a while, it was time for a lovely latte and a sit down as we had done a *lot* of walking. The bookshop at the BL is pretty fab too, and there is a permanent exhibition of Treasures from the British Library which we are determined to go back and see. After which it was time to say goodbye to J. and head off to our various trains home. I won’t talk about our journey, involving as it did changes and connecting buses – suffice to say it was good to be home! We had a fabby time in the Big Smoke – not only the lovely book shopping, but the good company, catching up with an old friend and visiting the BL. It’s too long since I did this kind of trip and I’m certainly not going to leave it so long next time!